Your blog title is the bait that entices Google users to your blog. Your content has to be the information they are seeking. The goal of the headline is to stop readers cold and draw them into your post. You can’t do that if you use cute, clever or confusing headlines. You can stop readers cold, however, if you write headlines that are unique, ultra-specific, useful or urgent. Use the tool by typing in your title, select your industry, then hit submit. Your title be scored on an algorithm that tests the emotional, intellectual, and spiritual value of your headline. The higher your score, the better you are getting at creating killer titles! Woot! Woot! Search engine optimization has been getting a bad rap these days especially compared to social media optimization, however, it still matters because Google uses it to pick up your content to list on the first page of certain keyword search results. Using the right SEO techniques for your blog post can get Google to display your content to your target audience. Write about current topics that people need solutions for in уоur industry. When you write one article a week, Google will love you and your readers. Search engines pick up new content and people will remember your blog and talk about it with others if they are exposed to it, not once, not twice but every week!!! Now, that is the juice of blog building success!!! Insert keywords that your target market will be using into your blog. Include your keyword in your title if possible and then add them throughout your post. WARNING-> The days of keyword stuffing for search engine placement are long gone. Do not overdue it! Ensure your blog is legible, provides solutions and is fun! Do not rant about things that are obvious or do not matter to your readers. Did you offer a tip in your latest blog post that is worth sharing in a different format? Take that tip and turn it into a quick video. Just make sure your video is worth watching аnd sharing. The sound and visual should be high quality and you want to kеер іt short аnd get tо thе point. People will not stick around if your sound quality is poor or you ramble on with no particular point. Using blog content in a short video is an excellent way to showcase your talent and expertise by arousing viewer interest. Give them enough to want to learn more! A Google+ hangout has greater reach given the additional features it has for boosting your exposure than YouTube has. Google plus audience is growing and seeking hangouts so let them discover your hang-out! BAM! Want your blog post to get seen by more people? Get posting in blog communities! Blog networks allows you to develop relationships with other bloggers. Plus you will learn more cool things by reading their blog posts. I love Triberr. I use Triberr to build relationships and share content from other amazing bloggers. If you got the right strategies then Triberr is powerful to spread your mission. Social bookmarking allow you to collect and manage content and share your content with a group searching based on your keywords. Sharing your latest blog post on social bookmarking can further increase your exposure rate. Reddit is a unique social bookmarking and social news website with a very unique community. Search by “sub-Reddit’s” that act as categories. Sccop.it is a bookmarking and curation website where you can create magazines based on topic or niche. Add content from across the web to your Scoop.it account and let others begin to find you based on similar interests. StumblUpon is a bookmarking and discovery engine that allows users to “stumble” through related content. Add your latest blog post to your StumbleUpon account, categorize it based on topic and let others stumble to it based on interest. Another way to leverage your blog post to increase your exposure rate is to turn it into a podcast. Creating a podcast will get your brand out there. Take your blog tips then record it so people can listen, when they are driving in the car or at the gym. Your post and your podcast will now cross-promote one another to get new subscribers to your blog. One of my favorite podcasts is Pat Flynn’s, “Smart Passive Income Podcast.” Pat says that launching his podcast is one of the best decisions he ever made. I’d love to hear from you! What are you doing to maximize blog post exposure? This post will help you dispel some of the most popular perceptions or advertising you see and hear in Internet Marketing. Like you, I invested thousands of dollars to learn about starting and operating my Online Business. I was drowning in information by various programs, each program having countless sections on: SEO, Social Media, Email, Web Sites, CopyWriting, Blogging, the list goes on. My inbox was filled with hundreds of emails from the guru’s/millionaire internet marketers. Also,. from internet training MLMs. I attend in person seminars as much as I can, I always learn something from the speaker in terms of delivery/knowledge even if its just one nugget of information. I meet people who claim to be, “internet marketers”, and are clueless about real online marketing. I asked, these so called, “internet marketers”, if they are apart of a Internet MLM, they say yes. I am writing this because I met an elderly gentleman who is retired and it breaks my heart because these people are putting their hopes and desires into these programs that are brilliant at marketing and advertising–> “easy, simple ways to achieve financial freedom online“. These ads are targeting people who are newbies to the game. They claim they have the system in place for them but then subtly refer to the training they need to implement to be successful so they join because for one hour they have fed their brain with “how easy it is” and showing off their mansions etc… only to learn at the end it does requires education, knowledge, skill, creativity and writing unless you outsource. it does take some money unless you know all these skills yourself. previously learn first before accepting anything new. Personally seeing people invest their money into illusions has motivated this blog post. The aim of this post will be to clear the fog, doubt, and baseless illusions, once and for all, in this short post. Internet Marketing B.S. Statement #1: You can make easy money from the Internet. the hard WORK and EXPERT KNOWLEDGE from EXPERIENCE and TRAINING these hugely successful people USE BEFORE they saw the BIG RESULTS. and dedication for perhaps, the past several years or so. intelligence, you will do well to stay away from ads or programs with taglines like that. not going to be easy, that is a fact. But not impossible, nothing is impossible. ALL is POSSIBLE. JUST TAKES THE RIGHT KNOWLEDGE AND THE RIGHTS ACTIONS. If you know what to do and actually do it, you will see progress that leads to big results. There are some people who are working hard online but do not know the right actions or are heading into the wrong direction. They end up feeling like they are wasting their time, money and get de-motivated even faster to quit. They end up back into the workforce. a lot about online marketing, but are not doing nothing to implement. Also, there are more untapped niches you can cater to if you have a strong passion and desire to solve people’s problems in certain niches, and have valuable/expert knowledge from your experiences. Internet Marketing B.S. Statement #3: I must know HTML, programming, and graphic designing in order to start my web site. knowledge in any one of these areas. Most of these successful individuals were not from IT backgrounds. If you want to create your web pages without having to learn: wordpress, programming, HTML and designing skills , I strongly recommend outsourcing. Internet Marketing B.S. Statement #4: On the Internet, there is no need to know how to sell. Internet Marketing B.S. Statement #5: You cannot make any real money as an affiliate. own service/product. At least, not that way! Internet Marketing B.S. Statement #6: I do not want to build a mailing list. It is effort, energy, time and money consuming. That is like saying, “I don’t want to be in business”. Your mailing list is as important to you as tbeing on the front page on Google. Your mailing list is your asset, so why not develop it? Ultimate Guide on How To Guest Post Right For Visibility. Content marketing is all the rave. People have caught on that the hub of online success is CONTENT, CONTENT, CONTENT. If you are a smart marketer you will be trying to build links with guest posts. The consequence of this new shift in online marketing will cause some sites to lower their guest posting standards, others to raise them, and some to stop accepting them altogether. Google will target low quality guest posts, and you will not get results without a strategy. I will share strategies for success guest posting below. Excited? You should be 🙂 Apart of your success is to share your genius, exciting! First thing is where to find guest post opportunities. This determines the value and long term success of your link. Look for blogs that have a audience that wants to read your post. The business category of the blog can complement your business/topic, and aim to give value to readers. Check the Domain Authority and PageRank to ensure the blog has the right ranking factors in place. Also, look at previous guest posts to see how strong the Page Authority is. Discover if the blog has frequent comments and sharing activity. Make sure this is true for most pages, not just the homepage. Spy on their activity on Facebook, Twitter, and Google+. If there is a good amount of community activity happening on at least one of those networks, this is a good sign. Look for a subscriber count. Read through the blog comments to understand the blog community, and make sure spam is not in the comments frequently. Google factors in user generated content. Who owns of the blog? What is their background? Are they reputable? Guidelines for guest posts should have standards. Content should be accepted if it benefits the blog’s audience. If anyone can post on their blog without any standards, don’t waste your time. Is the blog updated frequently? Does the blog write any posts, or just guest posts? Is it possible for you to become a regular contributor? Blogs that want good content will, most likely, want regular contributors. Does your target audience read this blog? Do centers of influence read this blog? Think about the go-to place for your target audience? Look at the site’s link profile. Does it look natural? Find guest posts from blogs that do not advertise guest posts. This is ideal, because very few of your competitors will have links like this. Write a post about the keyword that the site ranks best for. So, your guest post shows up in search results, getting more eye-balls to your post, and get referral traffic. Write something creative and fresh about the topic that the blog has not published before. How easy is it to navigate through the site? And what is the experience, visitors have on the site. These can determine quality of the site. Has the blog has received any kind of award from a reputable organization. Type in your search: “Top 10 Blogs about [Niche]” These will point you toward reputable blogs in the industry. Also, look for blogs that have been featured on those top ten sites. Find Places to Guest Post. Get inspired and let me know your experiences, thoughts and questions below. 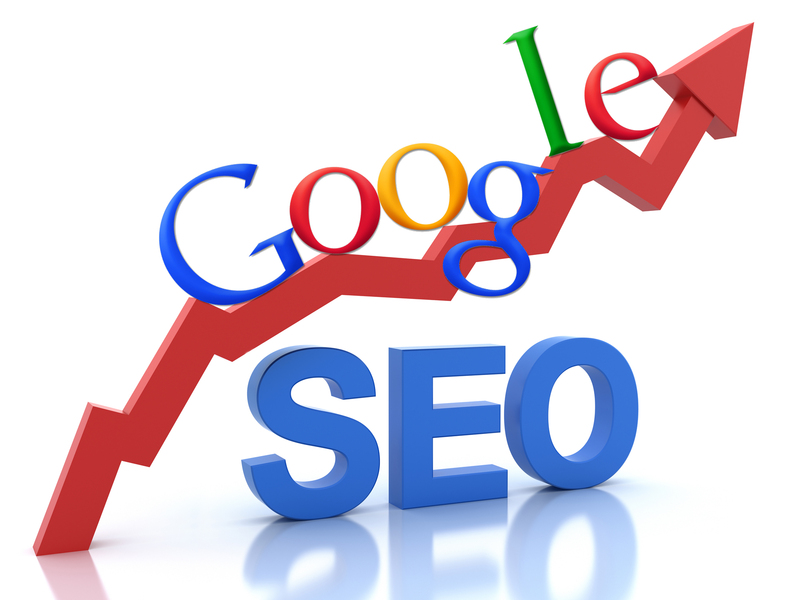 Get your site RANKED high in GOOGLE and it stays there! That is what I am talking about! The truth is you got to be one step ahead of the changes Google makes to its algorithm. The search engines are earning their genius status these past five years. They can detect the SEO techniques they don’t like fast. The search engine optimization techniques you use, need to be updated. If not, you will get smoked by Google leaving you in the dust on search results, as algorithms are constantly updated. That’s right, my friends, who is your smoking gun? HINT HINT…..answer is……? One of the most important actions of SEO is link-building. There are naughty links and there are great links. The great ones will keep your site in Google’s high rankings. The naughty (bad) ones will become worthless, or worse, become a penalty for your site. What is good and what is bad? READ ON to find out. You have to create links for your site that will last in your strategy for Google success. Build links the right way and you won’t need to worry. GOT IT? Stay with me, I promise you will be singing my praises. Ok, Here we go! Google likes natural. It wants its algorithm to work in a search where the good content is at the top and the bad content is left behind. Unnatural links are links you control. Google doesn’t like them because it does not detect value. It’s like a used car salesman trying to get you to buy or a Online Salesperson spamming your inbox to buy something. There’s a trust problem. It’s simple my friends, build links that Google will like, you need to GIVE UP CONTROL. Got it? You can vary the anchor text. You can also spread out the domains that link to you. Those techniques are a lot of work, even with the software that is now available to make it easier. The point is, the links are still controlled, and thus unnatural. Google will eventually identify them despite your efforts to appear natural. Using press releases, link wheels, and lots of other methods to generate links with the anchor text you want.The problem is the footprint. It’s hard to fake. Instead of building links using your preferred anchor text, try building them by allowing other people to take control. KEEP READING. YOU WILL SEE what I am talking about. You created a brilliant report and uploaded it to your site. You want it to rank high in Google. The dinosaur way is to start building links with your target keywords in the anchor text. You use article marketing, press release distribution, guest blogging, link wheels, directories, and so on. Today to be friends with Google, you should get the word out about your new report. Second, encourage others to link to you with whatever anchor text they choose. You can still use the same methods you used before. The new way is you are letting other peeps decide how to link to you. That gets rid of the footprint. It’s more natural. SEO is powerful when done right. Good links are powerful. Techniques to build those links is all about getting rid of footprints. WHAT DO YOU HAVE TO SAY! THOUGHTS? What are you doing to make your links appear natural with Google? Have you had success in using those methods? Share your experiences with us in the comments section! Not exactly scientific lol. There are fantastic examples of how colors actually affect our purchasing decisions. Most of us are Visually stimulated, we get appealed to things based on how they look. It makes sense that 90% of our judgement for buying a product is made by color. So how do colors really affect us and what is the science of colors in marketing really? Do builders of web pages really need to worry about the perfect website colors? Let’s explore some of the latest, most intriguing research on it. First-> Can you identify the brands below based on color? 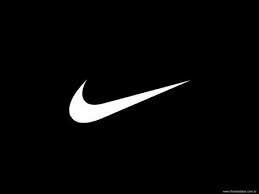 With the first photo, we can easily recognize the brand is NIKE without the Nike name, right. Exactly, and if we were to eliminate the letters NBC, above their logo we would still recognize the brand from the colors alone. The Feelings That Colors Trigger in US? Qualities-> definite, credible, strength, powerful, precise, professional, direct, accuracy. Best Used For -> corporate, construction, oil, finance, fashion, manufacturing, Cosmetics, mining, marketing, tradesman. Qualities –> natural, Organic, Youth, Nurturing, Instructional, Education, adventurous, ecological, calming, nature. Best Used For –> medicine, government, science, recruitment, ecological-business, tourism, human resources. Qualities –> credibility, calming, clean, focused, medical, professional, judicial, power, business like. Best Used For –> medical, scientific, utilities, government, healthcare, high-tech, recruitment, tradesmen, legal, information technology, dental, corporate. When we want to buy something, the colors can play a major role. Analytics company KISSmetrics created an fabulous infographic on the science of how colors affect our buying. Especially the color, “Green” because it is the most relaxing color we can use to make buying easier. The color black is used frequently for luxury products. Here are some cool tips we can apply today to our website or app! Based on the research from KISSmetrics. A EXCITING experiment, conducted by Performable (now HubSpot) wanted to discover if changing the color of the buying button, would make a difference in conversion rates. They started out with choosing between two colors (green and red). TRY GUESSING WHICH COLORED BUTTON HAD THE HIGHEST CONVERSIONS (people who bought more)?!?! A A/B test between green and red would result in green, they thought. Were they right??? I am not surprised at all. Red to me has always represented a powerful color, after all it is the a color we use to represent fire. The truth is you can get traffic everywhere, just buy banner ads to place on websites, Facebook Ads, Google Ad-words, and I am sure you know a lot of other sources of getting free traffic to your site. I am sure you have heard stories of people who have spent thousands of dollars on Online Ads without very much ROI, perhaps you have yourself. You have probably asked, well-known Guru’s what is the secret to their online success? You probably got answers, like->”work really hard”, “you know the answers within” etc… Of course there are secrets to success, every industry has them. Don’t you think there is success secrets to: operating shopping malls? casinos? restaurants? Of course! Look, whatever business you are in, when it comes to online or even offline-> You are in the information business. Information is what made Google number 1. When you make people happy, enrich their quality of life by solving a problem they will want more from you. Bottom Line. WHAT DOES ALL THIS MEAN??????? Ok, here is where the work comes in!! You know you gotta put in the work, right? Nothing comes magically. THERE IS NO MAGIC BUTTON!! Anyone who says there is, RUN away from them as fast as you can! I say that with love to save you, money and time. You have to develop effective online marketing funnels, give free valuable content or products in exchange for there email address and name (OPT-IN FORM) to build your email list. Do not ask for their phone number or home address fewer people will provide this information. Then you will be able to get that MAGIC we call CONVERSIONS. Once you get the conversions then you get PROFITS. Traffic alone will not get you CONVERSIONS that lead to online PROFITS. The formula is traffic + conversions = profits. The key is making a online marketing funnel that converts then any traffic can be profitable. So remember, you can get all the traffic you want but if you cannot convert it, you got ZILCH/ZERO. Conversions means a measurable response. To be effective in marketing everything is a measurable response. A opt-in is a measurable response, website views is a measurable response, clicks etc…. Bottom line, a conversion is getting your target to take a desired action that leads to taking action to purchase. Your goal is always to get your prospects to take action, whether it is entering their email, opening your email, making a phone call, downloading your e-book, reading your e-book, etc… So HOW DO YOU GET THEM TO TAKE THESE ACTIONS is what you must always be asking yourself. That my friend is the secret sauce! Lots of little actions lead to the bigger action of making the purchase. In order to be successful in marketing, you must TRACK everything. Tracking gives you the secrets of knowing: what traffic is working for your website? How much to spend on ads and what kind of ads? What aspects of your funnel is working? Once you know this, then you will see the fruits of your labor. Then you can make a AD and see the results you want. This is what I teach and show businesses, solepreneurs to do in depth successfully to finally end the confusion once and for all to see the money coming in. Warning Using SEO to Hide Negative Comments about your BIZ is not the solution! People have asked me, “how do I deal with negative comments about my business online?” More businesses are now concerned about Negative complaints on forum sites or somewhere else on the Internet. SEO or Reputation Management companies may claim to be able to hide them. I want to warn you that hiring an SEO company to “hide” or “bury” your online complaints may be one of the worst mistakes you can make. I was at a business event engaging in a conversation with a fellow business owner addressing her concerns with me, while I was providing her with solutions she and her team could do to address the negative exposure a SEO consultant aggressively claimed he could hide it and not bother running a social campaign to address it. It inspired me to write this post to warn business owners the reality of using this strategy. This strategy usually involves creating positive profiles on social networking and other sites to rank high in search engines such as Google (NOTE – you can do this yourself for free). These companies may even claim that for a $995 up-front fee and $100-500 or more per month they can “remove” negative information from the Google search results. SEO or “reputation management” companies create positive web pages that will show up before the negative ones, this pushes the negative results lower on Google’s search results. The negative pages are never removed, they are just a little harder to find. This is a temporary band aid effect—a negative complaint can be shown on perhaps the third or fourth page of Google results for a few days or weeks, but can pop back up to the top of the results putting you back at square one. The best solution is to deal with the complaints online. Create a social media campaign in response to what has been said about your company. After all, this is what social media is all about a two way conversation between consumers and businesses. The days of one way marketing communication are over. So step up to the plate, write PR articles, make YouTube videos, FB/Blog posts, tweets etc… stating what you have done to address the negative complaint, and if it was not valid compliant then address it and try reaching out to the person who made the. You may be pleasantly surprised that person may turn out to be a raving fan of your business in the end. Clear communication and improvement processes are key. The public knows no one is perfect, if you admit that you are human and care enough to take actions to ensure the problem does not happen again, people will respect you more for it. I am a firm believer that all publicity is good. It’s all about your reactions that matter.